The Cleveland Cavaliers management announce on Tuesday that forward Kevin Love part of the Cavs Big Three will be missing for 6 to 8 weeks due to knee injury. According to report Love will undergo arthroscopic surgery on his left knee. The condition of Love will greatly affect the rotation of the team’s and momentum. It means LeBron James will have no time to rest, to lead his team, more minutes to play despite at age 32 James is the second NBA player with most minutes this season. Kevin Love absence might affect his performance after getting back to his original form when he was still in Minnesota Timberwolves, this season was Love best season as part of the cavaliers averaging a double-double with 20 points per game and 11.1 rebounds per game. Love will also miss his 4th appearances in an All-Star Game, he will not be able to join teammates LeBron James and Kyrie Irving of the East Team in the 2017 NBA All-star Game. Aside from Kevin Love’s injury JR Smith has also been out for quite some time now after suffering a broken thumb and was reportedly out for about 4 months. Love and Smith are part of the cavaliers starting five from the opening of this season. Both Love and Smith are scheduled to return to the Cavs lineup before the NBA Regular Season ends, there is still have some time for both players to regain their original form and getting back to shape to help their team in defending their NBA Title for the upcoming post season. For now Iman Shumpert replaced JR Smith in the starting lineup while Channing Frye starts in their last game against Minnesota in Love's absence. 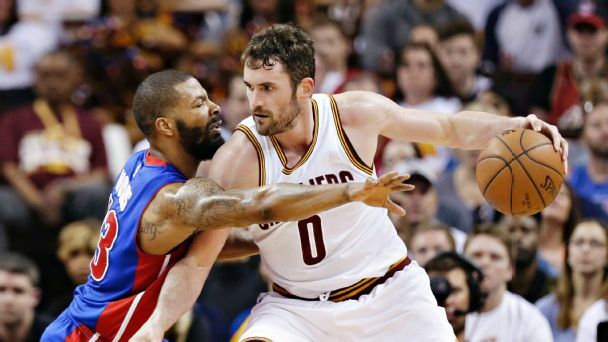 No Comment to " Kevin Love Out for 6 to 8 weeks Due to Knee Injury "